And I am back with some homemade cheese! After ricotta ricotta and mascarpone, here comes quark. Making cheese at home is a pleasure, the versatility of use a bonus. Nothing really that needs you to set up a laboratory, understand complicated procedures and enzymes. Simple stuff we can do at home using pantry staples like milk, cream, yogurt vinegar and the kind. What I love most is I can use them in both sweet and savory dishes and as an ingredient in bakes too. Right up my alley, both for ease and the endless possibilities! 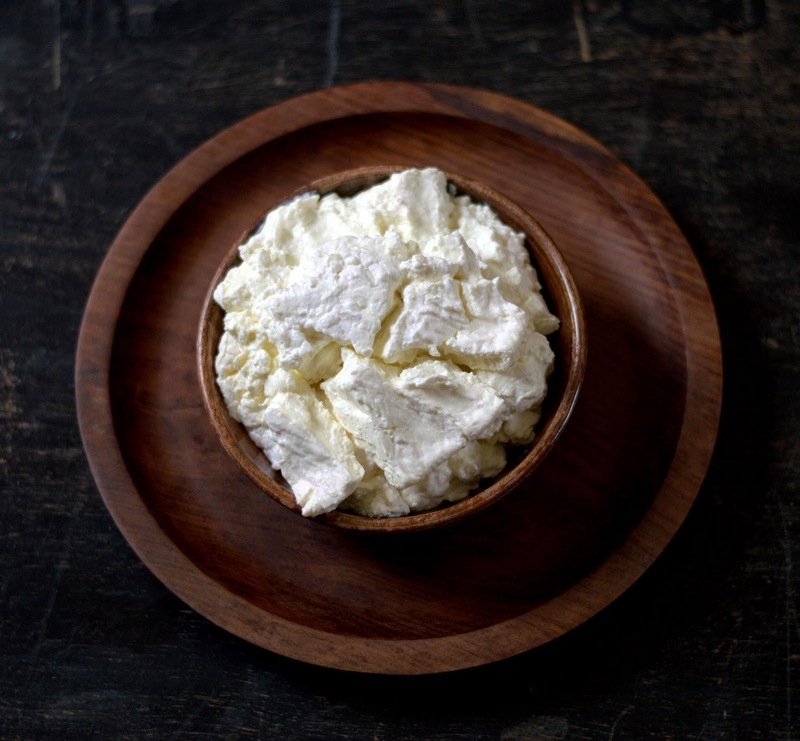 A moist, creamy textured fresh cheese with a gentle tang, Quark is of European origin. Apparently quark is the German word for curd. 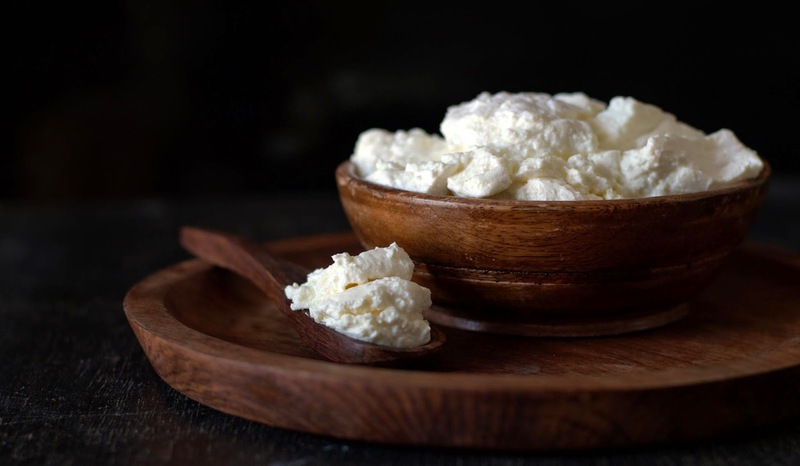 There are different versions of making this cheese, with a wide range of fat content. I gather you can make quark with whole milk, low fat milk or even buttermilk! I came across quark first on Deeba's gorgeous Passionate About Baking. It goes into her cakes, mousse, ice creams and countless desserts ever so often. Simple and easy, how can I resist trying this? I could eat it by the spoonful, but I hope I will save enough to find a more delicious home for it! Homemade Quark : Recipe from PAB. The below recipe gave me about 480 grams of cheese. Method: If the milk you are using is not pasteurized, bring it to a boil, cover, let it cool to room temperature. Stir in the buttermilk. Cover the container and keep in a warm place for about 24 hours or till the curds and whey separate. I kept mine for more than 24 hours, the mixture looked thickened, like set yogurt, with a little whey on top. Drain into a cheese cloth lined sieve suspended over a deep dish. Tie up the cheesecloth with a rubber band. Refrigerate the entire apparatus overnight or longer. (I left mine to drain about 17 hours) The whey will have drained and there you have your quark! Quark can be refrigerated for about 3 days. I would expect it to get tangier and drier as you store. Deeba says the whey floating on top is more likely in warmer weather conditions. In warmer weather, you may want to check on the culture earlier, so start the process accordingly. Unless of course you don't mind tangy quark or setting your alarm to check the curd at 2 am. The color of the cheese may vary with the percentage of fat in the milk. Whitish if the milk is skimmed or low fat, slightly yellowish if the milk is of higher fat percentage. I would also expect the yield to differ slightly too. Some cream whisked into the milk will give you richer quark. I have used 3/4 cup Nandini curd, about 3% fat I guess (as the one I make at home is low fat) mixed with 1/4 cup water to make 1 cup of buttermilk. This was at room temperature too. If you drain the cheese longer it may be drier. This was moist enough and very creamy when stirred, but I will drain for about 10 hours next time I make it. In case your cheese feels very dry, you could probably try stirring in a tablespoon or so of the whey. 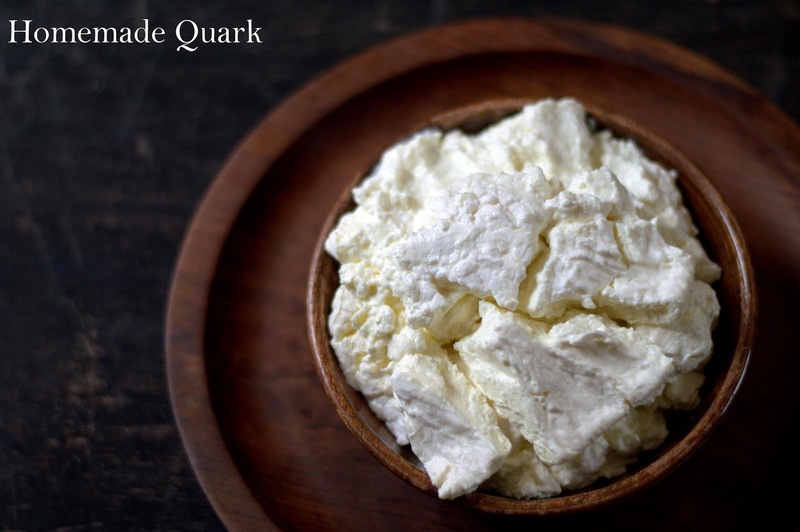 Do you make your quark? Tell me your most favorite way to make it and eat it please? Wow homemade quark is always the best, i do mine at home, have to post soon.